A zero-commitment choir designed for people who can't sing. what kind of parties do we do? Throwing a party for your 40th birthday party and want to ensure peak craic levels are reached? Send Aoife an email at singalongsocial@gmail.com, and she will work with you to figure out how to bring the Sing Along Social to your party. We've done private parties all over Ireland and are willing to travel, too. Sometimes we think our spiritual home is on a stage in a muddy field surrounding by music lovers. Aoife and Anna have performed at many of the major festivals around Ireland including Body & Soul Festival, The Electric Picnic, Beatyard, Feile na Bealtaine and Forbidden Fruit. Drop us a line about your festival on singalongsocial@gmail.com. Aoife loves everything to do with weddings. A seasoned hen party entertainer, she can rock up with her speakers and bag of craic to wherever you and your hens are. Weddings are a favourite as well so get in touch via email (singalongsocial@gmail.com) with your date and venue, and she'll talk you through the Sing Along Social hen and wedding packages. We're open to talking to you about corporate events (think summer ad Christmas office parties) and finding the right partnerships for the Sing Along Social. Drop Aoife a line on singalongsocial@gmail.com. WHERE CAN I FIND OUT ABOUT UP-COMING EVENTS? The best way to keep in touch about up-coming events it through our Facebook and Instagram pages. You can also keep an eye on our Eventbrite page which is usually where we sell the tickets to our events. 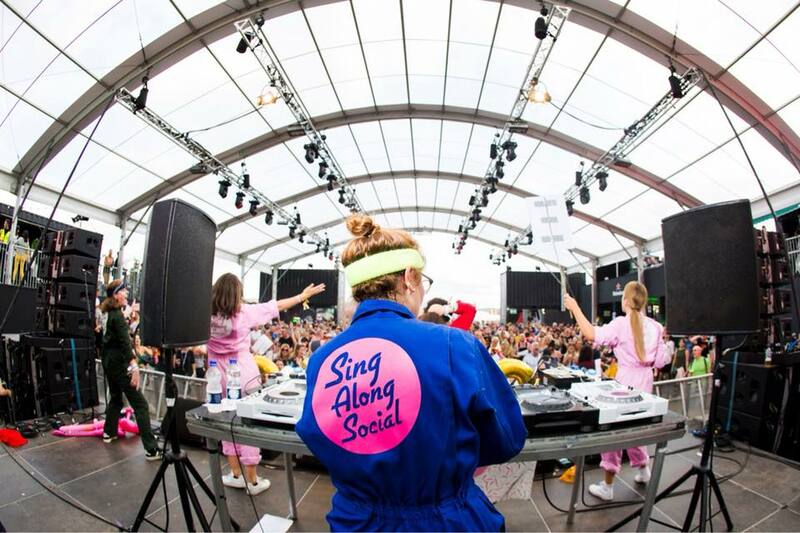 If you want to get in touch with Aoife about bringing the Sing Along Social to a venue or festival near you, email her at singalongsocial@gmail.com. Want to book the Sing Along Social for your event? Find us on Facebook, Instagram and Twitter @singalongsocial.